Two friendly science supporters (Thanks Breezy and Sarah!) came out to help us. Of course, as anticipated, scientists are never ready when they are supposed to. Things look strange, some small last minutes mishaps -- turns out an Ice Auger (small ice drill) and thin cables do no go well together -- and low priority items that one still really wants to finish, meant that hectic set in. This combined with the incredible amount of snow accumulation called for a long day and a short night. Still, there was time to enjoy the exceptionally good weather conditions with a picnic outside! You would not believe it, it was above freezing and we all felt like summertime. 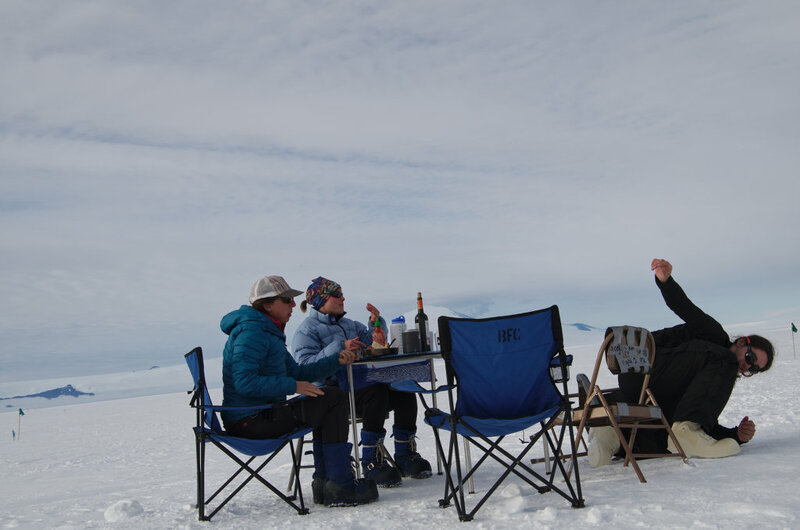 Scientific wisdom of the day: folding chairs with metal feet are not very stable on fresh Antarctica snow, as Chris is demonstrating -- for your convenience -- when Corey was just about to take a group picture. The group picture? 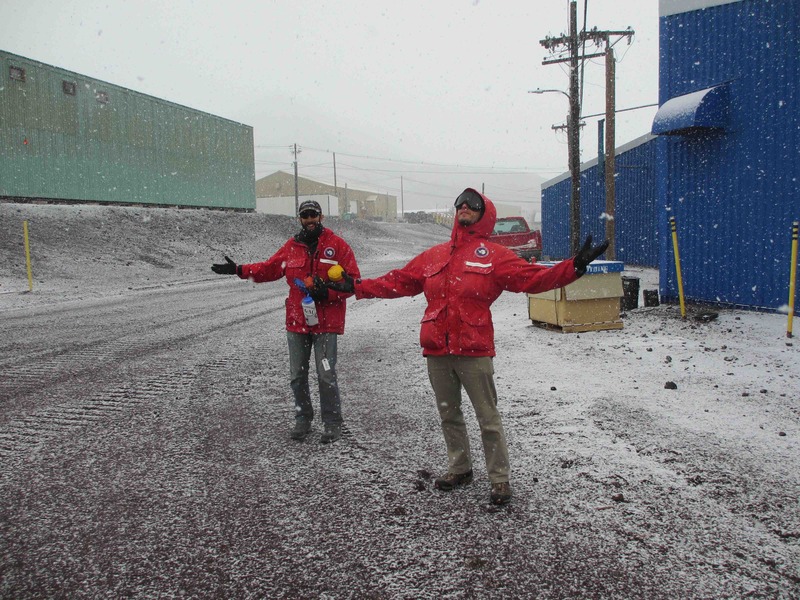 In fact, we are all still sorting fotos and getting organized back here in McMurdo. So, there will be some future blogs coming up, in which I anticipate beautiful pictures from the helicopter and panoramas from the field. So stay tuned until we are rested and settled back in.